Attacking team must play through each 1/3 to score. 2v2in end 1/3. 2v2 + a floater in middle. Man who passes ball into next third can go in to create over load. Reds dribble from end to end inside the grid using as many touches as possible but must always be travelling forward. Blues have a ball between 2 must pass across grid and disect Reds. Blues can move up and down to create better angles to recive. 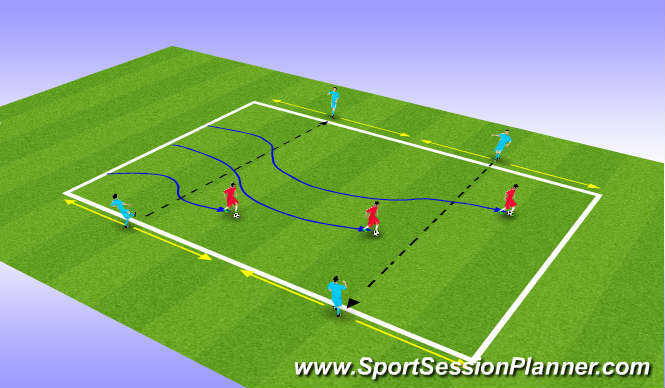 Progression- Allow Reds to stop for 2 secs to create more of an obstruction. 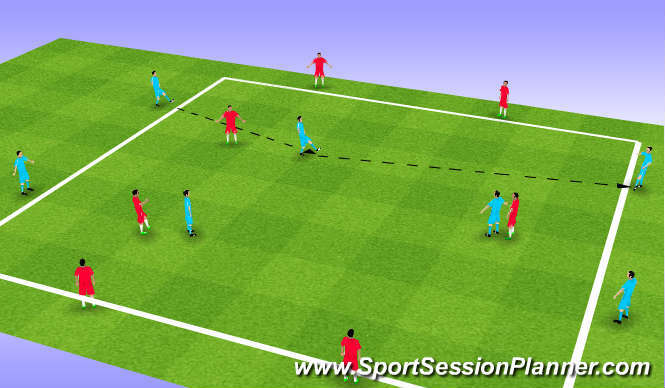 30x30 - Reds, when in possession attack from end to end they must get ballacross with out being intercepted to score 1 point. Blues attack from side to side when they have the ball. 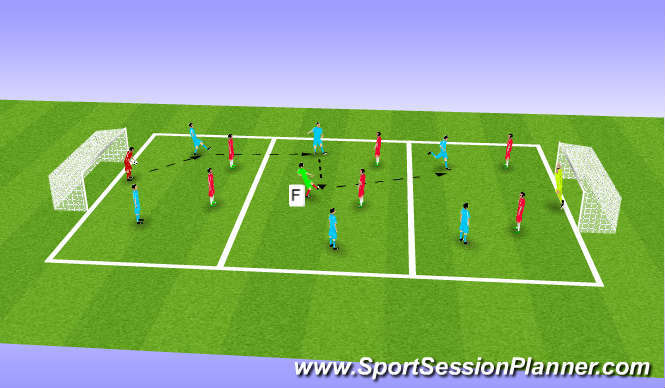 Passing/reciving skills R.W.B, movement to create space. Create space to recieve. Good body position. Always look to play forward. Agility, balance and co-ordination. Short - sharp movement, high intensity. Communication / concentration. Can the individual impose himself on the practice. Session went well and players passing and decision making improved as session went along. players attitude was good although certain players seemed to get giddy and lose concentration - Bowsher, Lewis & Waites.